My name is Daniel Lee and let me begin by saying thank you. This feeling of gratitude is for all of the opportunities that you have given my father, my family (blood and extended), and myself to do what we love for a living. Since the time of my first memories I have been immersed in golf; as a young boy helping my father’s students tee up their drives, I witnessed the excitement in their eyes when they would begin to feel shots they had always dreamed about. They had come to us for the love of the game and were experiencing something to be in awe of. Having had a golf club in my hands since the time I could walk, it felt very natural to communicate with these students. As they were having different experiences through learning to feel rhythm and timing in their golf swing, I could see something in them light up. Golf being a sport that brings so many emotions to the surface, I became aware early on that there was far more going on than simply learning how to hit a golf ball. Only able to comprehend from a child’s perspective at the time, I saw people going through transformations. It brought out a level of emotion which translated into a love for what they were doing. Little did I know how much impact this experience would have on my life. It offered me the ability to try new things with a faith in the outcome, knowing it was something to be excited about rather than feared. In the last 10 years, I have traveled through more than 40 states and many countries in the Americas and Caribbean. I’ve continued to learn that, just as in golf, there are as many ways to communicate as there are to bridge cultural divides. Understanding the similarities between good shots on the golf course and the feelings of joy that can be shared with someone, regardless of what language they speak or where they come from, are moments to be cherished. Anyone that has played the sport of golf for very long understands the parallels that are learned in life. The need to work hard while maintaining the ability to let go is one of the most fundamental lessons that we continue to come back to time and time again,. This is true regardless of who you are and what you’ve accomplished. As my 31st birthday approaches and the countless humbling experiences add up, so does the moments of elation through feeling the harmony with gravity in my golf swing, which also coincides with the elements of my life. I know the journey is only beginning, however one of my greatest accomplishments that I am extremely grateful for, are all of the amazing students that I have been able to invest quality time with over the years. Each student has helped teach me so much about how to create an environment in which someone can thrive and have a natural evolutionary experience in their golf swing. These Gravity Golfers have also taught me, that through an open mind and for the love of the game, anyone can excel when they become aware of how to allow the natural momentum of their intention, take them where they want to go. Thank you again for allowing me to live, learn and grow through the experiences we share. I wish you all a grand adventure and journey, on the golf course as well as your endeavors through life. May you find peace and joy in each and every swing. 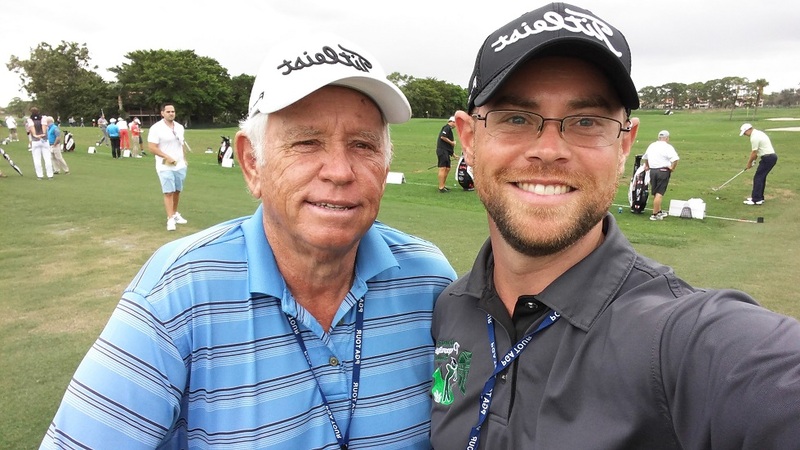 David Lee’s son Daniel Lee has been assisting with golf schools since the age of 8 and began teaching golf on his own when he was 15 years old. Well spoken. Much love! Thanks to you and your father for your pursuit to teach based on your study of science. Thank you and much love to you too. It is a lot of fun to continue making new discoveries on how we all learn. Great article Daniel. I hope to be able to meet you some day. I had the pleasure of attending the school and it was like your dad told me the best investment in the game I ever made. Hi Kevin, it would be an honor to meet you as well and I’m so happy that you were able to have the opportunity to spend time with my father. He loves his students and what he gets to do. 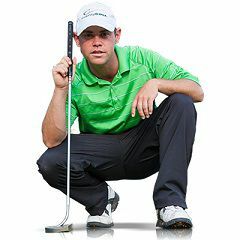 Happy to say the exercise at the end of the Introduction to the GGstaged program really helped me feel the movement/intention to the target in the golf swing. Now I have started to feel the effortless rotation you have described in your teaching while swinging stationary. I’m stoked! Thanks guys. Well done Mike! Most of the time it is the really foundational things that make the biggest impacts. Keep it up bud! Thanks brotha! It has been such a joy to study and learn the game from you and your father. It is a breath of fresh air to have teachers with such great awareness of not only the swing, but more importantly, the game and it’s parallels to life. I am so grateful for you both and the wonderful Miss Cricket who is at the heart of it all!! It has been an honor to watch you on your journey and to have made such a great friend, I am truly blessed to have you and your family in my life. Things are just getting started brother! Danny great words. I am so excited I will be attending The Gravity Golf School this December. I’ve been studying The Gravity swing four 4 months now doing the drills. I’m looking forward to meeting and getting instructions from your father. I am convince this is the only way to swing a golf club. Hopefully I could meet you to. I really learn a lot from your videos. Keep up the great work.Golf in the future is going to be very exciting.